www.sausagemaking.org • View topic - low fat beer and chocolate sausage. low fat beer and chocolate sausage. wanted a different flavour profile than my previous effort. 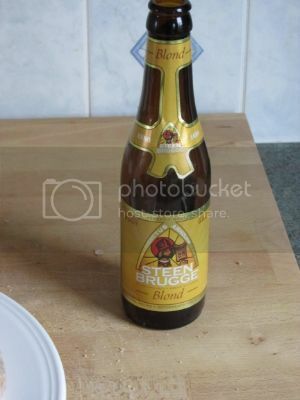 I used this beer after trying many.I wanted a lager type beer so that it would be lighter and less bitter to allow the bitterness of the chocolate to notice..The beer is a Belgian abbey brew. I used pork loin from Morrisons they had it on offer at £4.50 per kilo (English not vac packed and cut off the loin before your eyes) I skinned it and removed all visible fat after grinding I ended up with 1.5 kg of mince. To this I added 12 gms of fat replacer which came from the USA. Ithen took 750 gms for my sausage. Re: low fat beer and chocolate sausage. I've been pretty skeptical of low/reduced fat sausages. What are your thoughts? Was there any negative effect on taste or texture? 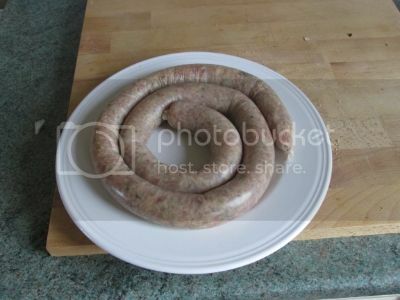 Hi I used a product from The Sausagemaker.Buffalo. Its used @8oz for 60 lbs meat. (any lean meat) I worked that out to be 8 gms per kilo. It works very well and gives a good texture.Problem if Im running low and shipping charges to the UK are expensive. Ive used tapioca starch at a rate of 3% of weight of meat and that works well but does lower the meat content a little.